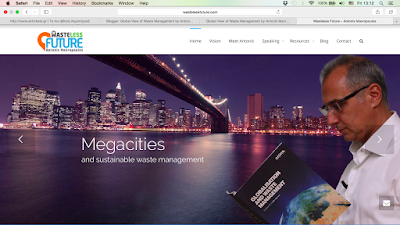 In this website you can find news that I carefully select, blogs, much more details for my work and of course my vision for a Wasteless Future. Subscribe to my newsletter and join the Wasteless Future thinkers, so you can get get insights on how social and technological innovation can reshape the recycling and waste management industry. 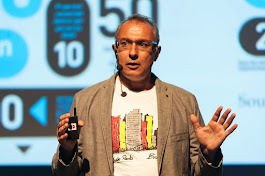 Learn how you can contribute and let me share with you ideas for books, events and projects. Stay tuned - a new adventure just started. Soon, I will release the first project for the Wasteless Future thinkers. Few months ago, in the report “Wasted Health” published by ISWA, it was clearly mentioned that dumpsites are becoming a global health emergency. Both the authors (me and David Newman) couldn’t imagine that the fire that started recently in Deonar, Mumbai’s 132 hectares oldest dumpsite, that receives 4,000 tons of waste per day, will be so emblematic for our argument. 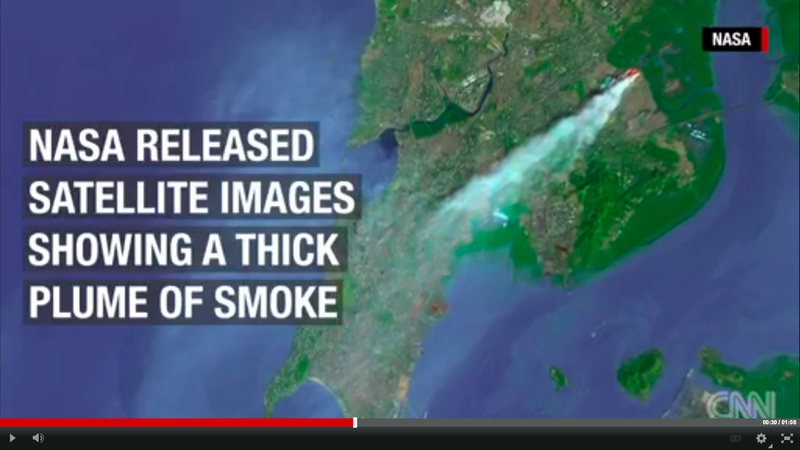 Actually, the smoke emitted is so thick that it blotted out the sun and obviously, the health risk for the neighboring residents are more than high. 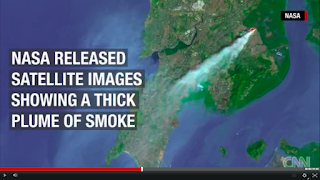 The fire is so big and intense that it is also visible from space, according NASA’s released satellite images. You can see the relevant CNN video here. NASA’s estimation is that the garbage pile is roughly 30 meters big. While the authorities are still looking for the cause of the fire, something practically useless since in such a dumpsite spontaneous fires are the rule and not the exception, we can certainly remind the obvious. It's kids drowning in the Aegean bastards! Refugee: a person who flees for refuge or safety, especially to a foreign country, as in time of political upheaval, war, etc. Refuse (noun): something that is discarded as worthless or useless; rubbish; trash; garbage. It seems that EU finds no difference between Refugees and Refuses. However, I have noticed a remarkable difference. For Refuses (waste) EU has the famous waste hierarchy (prevention, reuse, recycling - recovery, treatment, disposal) while for Refugees the current mainstream policy is an uncontrolled barbarian disposal with two options. For many governments in EU, the preferable option is disposal onto the Aegean seabed. However, if this will not be possible for all of them, the next preference is to transform Greek islands in a huge landfill for refugees. 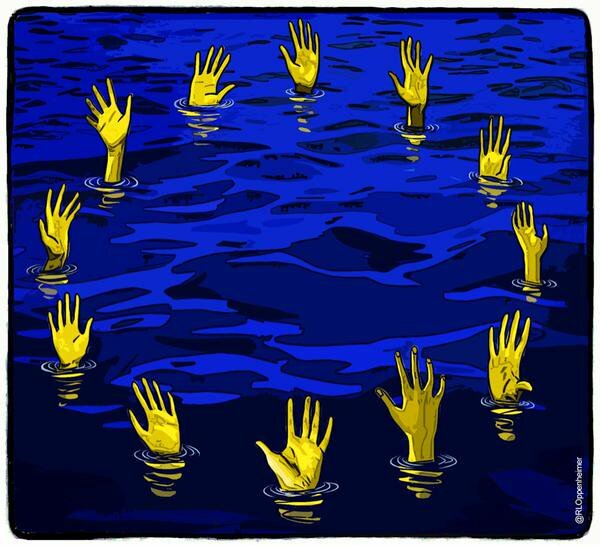 In the meantime, kids are drowning each and every day in the Aegean Sea. Just read the facts and make your conclusion. January 5th: Authorities recovered the bodies Tuesday of at least 36 migrants who drowned off Turkey after their boats overturned in rough waters as they tried to reach the Greek island of Lesbos, officials and news reports said. Twelve others were rescued. January 8th: Hungarian prime minister calls forfences to be built on Greece's northern border to stem flow of refugees. 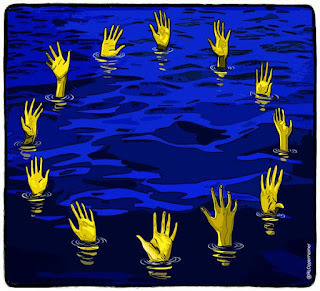 January 16th: Six refugees found dead off Greek island bringing number drowned in Mediterranean in 2016 to sixty already. January 22nd: At least 45 people, including 17 children, have died after their boats sank near two Greek islands as the number of deaths of migrants and refugees in the Mediterranean make this the deadliest January on record. January 26th: Danish parliament approves plan toseize assets from refugees. January 27th: Six dead when refugee boat sunk. January 29th: Germany has moved to toughen itsasylum policies as Finland and Sweden announced plans to deport tens of thousands of people in a bid to contain the migrant crisis. January 30th: 37 people drowned after their boat capsized as they attempted the crossing from Turkey to Greece. As of January 29, the International Organization for Migration(IOM) recorded the deaths of at least 244 refugees and migrants who tried to reach Europe via the Mediterranean Sea, nearly three times the 82 people who died last January, and overwhelmingly more than the 12 people who died in January 2014. Some 55,528 refugees and migrants have arrived to Europe so far this year, according to the IOM. UNHCR figures are similar. The UN's refugee agency reports that 236 people died or went missing from January 1 until January 29, with arrivals by sea at 54,518 people. February 1st: In the latest tragedy to strike in the AegeanSea, nearly 40 refugees and migrants died after their boat capsized off the coast of the Greek island Lesbos. February 6th: Austria is considering deployingtroops and police to the Balkans to reduce the flow of refugees on the route between the Turkish coast and Central Europe. 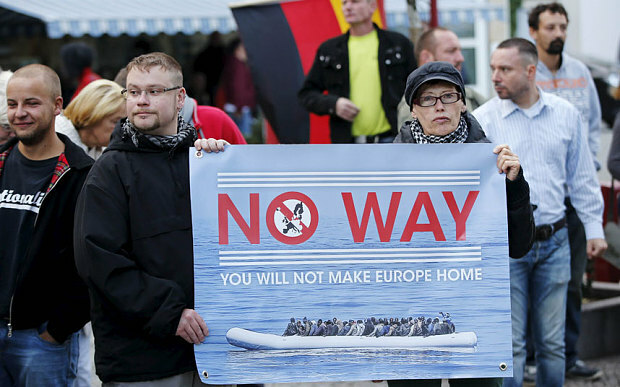 “In the worst case” they will be stopped on the Austrian border, officials warn.